NEW! 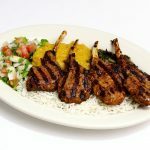 Chopan Kebab Organic lamb chops marinated in a blend of fresh herbs and spices; grilled to perfection and served with salad, basmati rice, spinach and lentils. NEW! 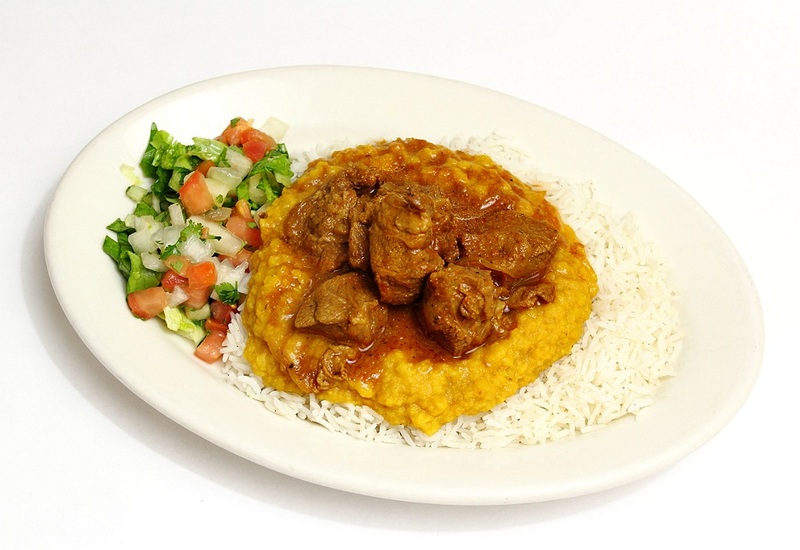 Baanjaan Chalau Braised organic lamb curry and eggplant cooked in tomato sauce; served on a bed of rice. NEW! 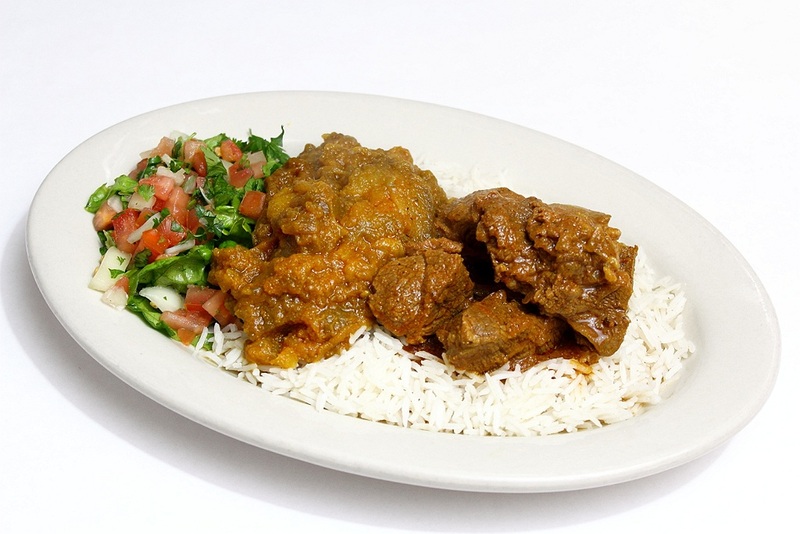 Aloo Korma Braised organic lamb curry and curried potatoes served on a bed of rice. 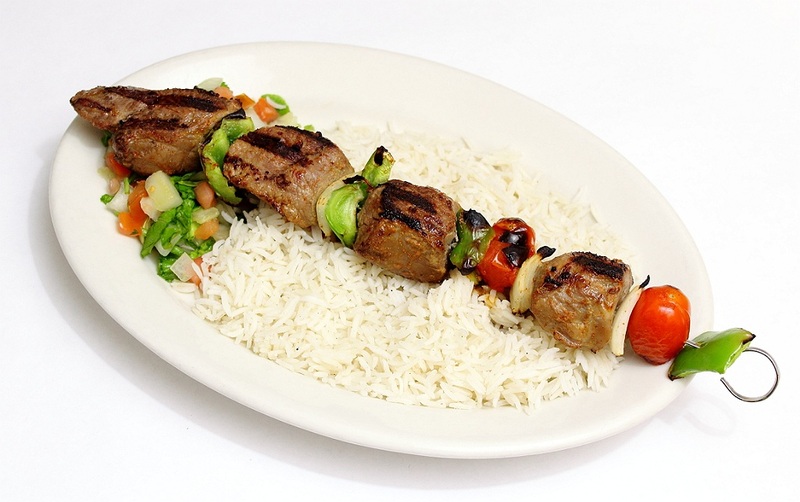 Gosfand Kebab Marinated organic lamb broiled on a skewer with tomatoes and onions. Served on a bed of basmati rice. 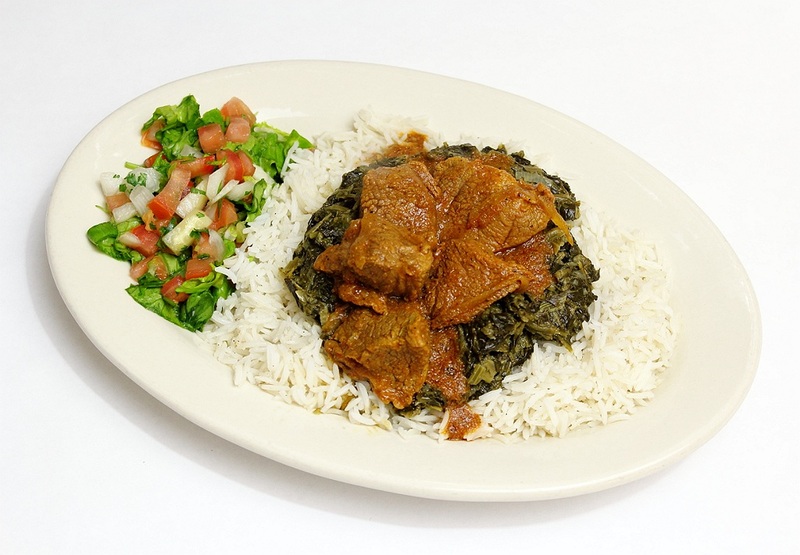 Sabzi Korma Braised organic lamb curry, served with fresh spinach cooked with leeks, on a bed of basmati rice. 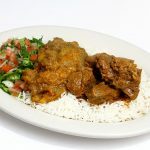 Daal Korma Braised organic lamb curry, served with yellow lentils cooked with onions and garlic, on a bed of basmati rice. 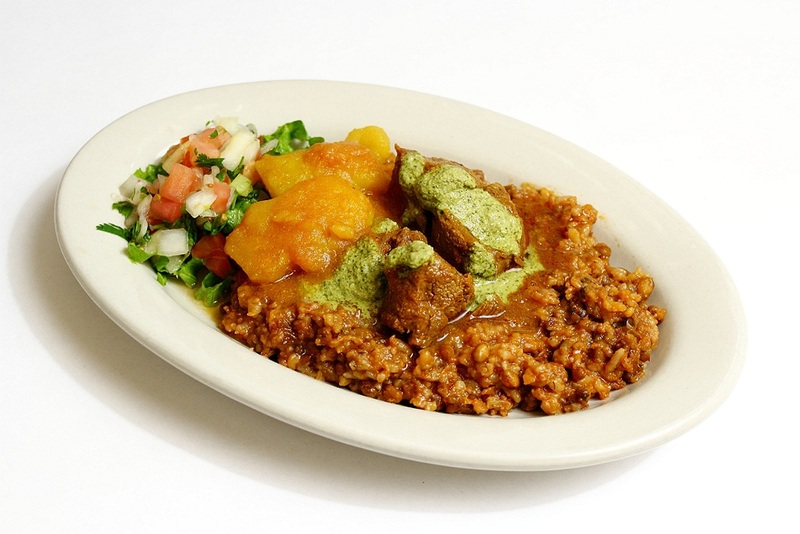 Goshti Shola Mung beans cooked in a homemade stock with sticky brown rice, served with braised organic lamb curry; topped with cilantro chutney. 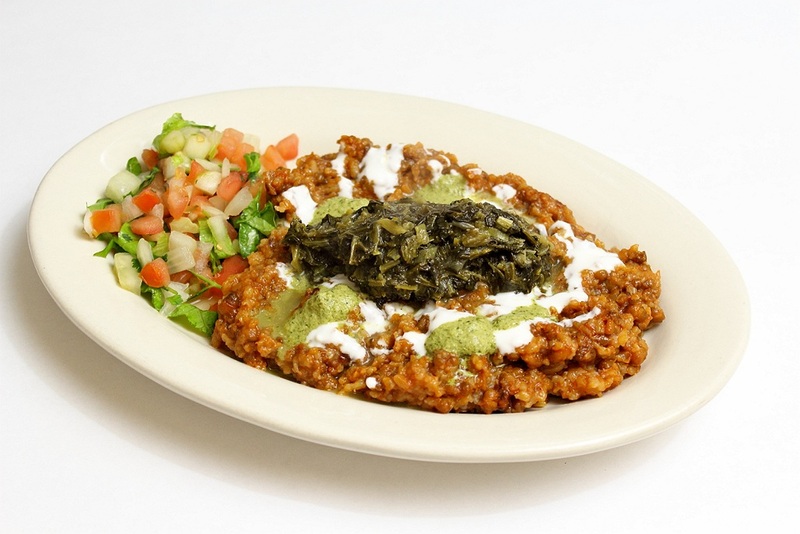 Mung beans cooked with sticky brown rice, topped with yogurt sauce and cilantro chutney. 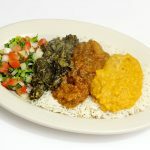 Combination of two or three of the following vegetables. 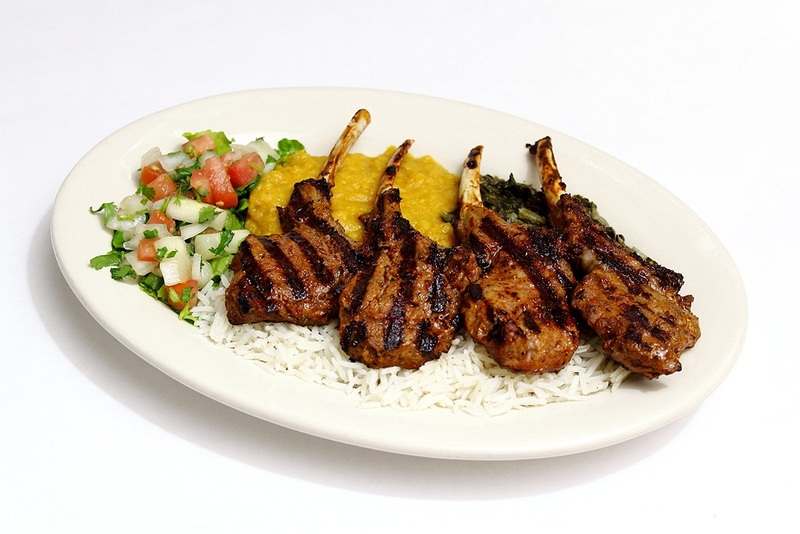 Served on basmati rice. 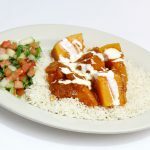 Butternut squash braised with onions, tomatoes, brown sugar & spices; topped with yogurt sauce; served on a bed of basmati rice. 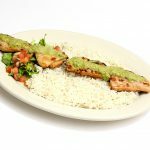 Marinated chicken charbroiled and topped with cilantro chutney; served on a bed of basmati rice. 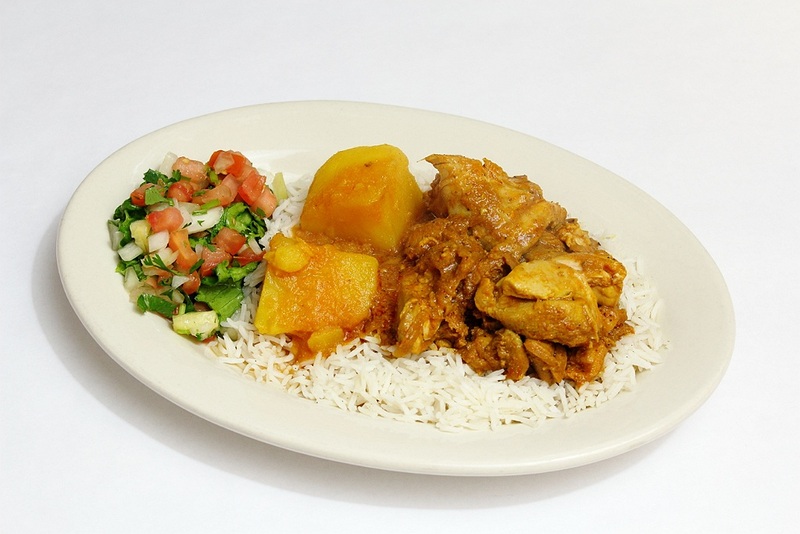 Boneless chicken in a mild red curry sauce; served with curried potatoes on a bed of basmati rice. NEW! 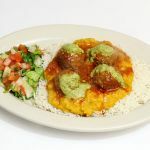 Kofta & Daal Meatballs made with ground beef and spices, topped with cilantro chutney, served with yellow lentils on a bed of basmati rice. 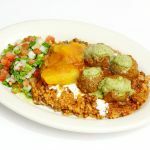 Kofta & Aloo Meatballs made with ground beef and spices, topped with cilantro chutney, served with potatoes on a bed of basmati rice. Combination 1 Skewer of chicken kebab, braised organic lamb curry and meatballs, topped with cilantro chutney. Served on a bed of basmati rice. 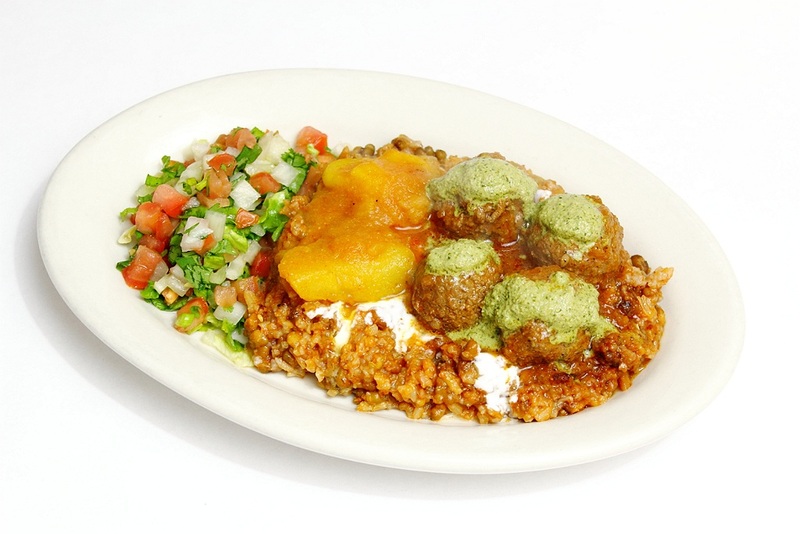 Combination 2 Skewer of organic lamb kebab, chicken curry and meatballs topped with cilantro chutney. 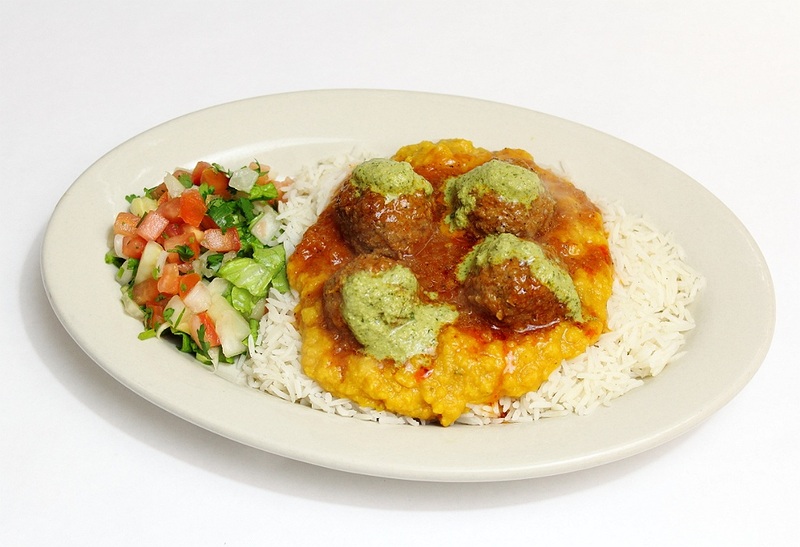 Served on a bed of basmati rice. 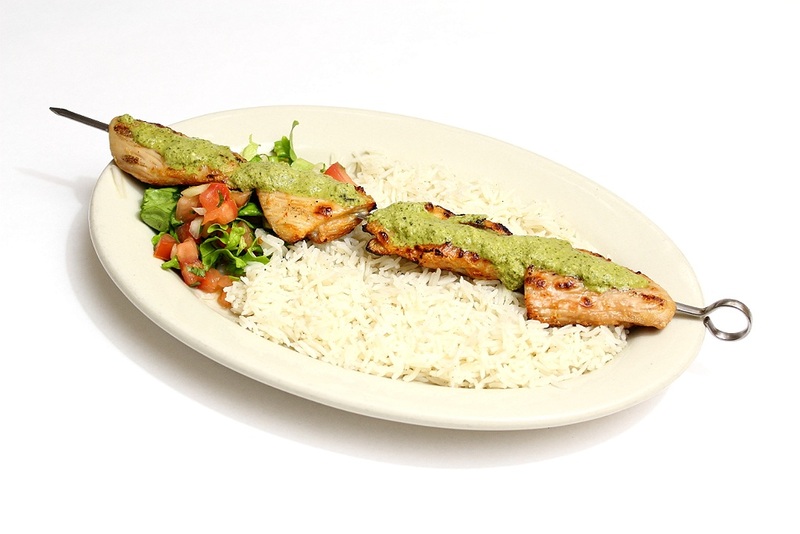 Kebab Plate Skewer of organic lamb kebab and skewer of chicken kebab topped with cilantro chutney. 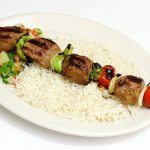 Served on a bed of basmati rice. 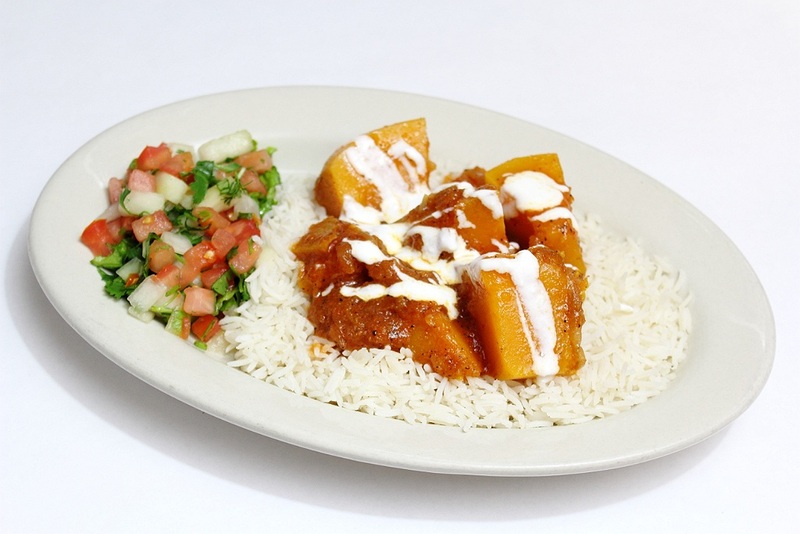 Kabuli Pilau Basmati rice browned with caramelized onions and cooked with chicken or lamb in a special blend of exotic spices including clove, cardamom, cinnamon and cumin; served with julienne of carrots and raisins. 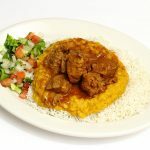 Do Piaza Organic lamb shank cooked with onions, split yellow peas and spices; served on bread and topped with marinated onions. 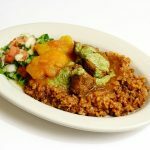 Bamia Chalau Okra cooked with organic lamb, onions, tomatoes, bell peppers and spices; served on a bed of basmati rice. 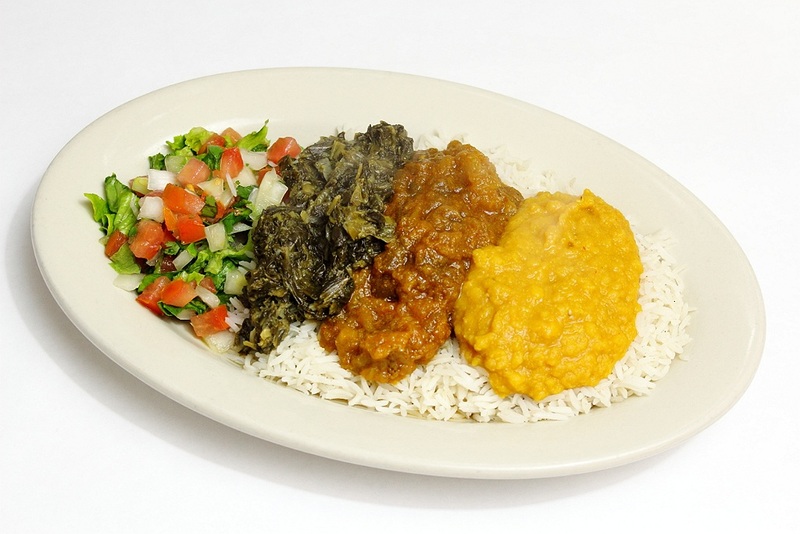 Gulpi Chalau Cauliflower, ginger, and red bell pepper cooked in a tomato sauce; served vegetarian, or with organic lamb, on a bed of basmati rice. 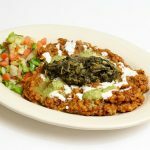 Fasulia Chalau Green beans cooked with organic lamb, bell peppers, onions, tomatoes and spices; served on a bed of basmati rice. 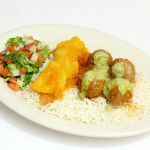 Laawand Mushrooms, chicken and bell peppers cooked in a special curry sauce with yogurt and mint; served on a bed of basmati rice. 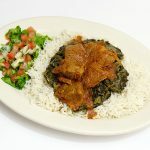 Samaaruq o Rawaash Rhubarb and mushrooms cooked with organic lamb in a spicy onion and tomato sauce; served on a bed of basmati rice. 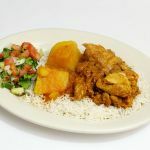 Korma Chalau Chicken and split yellow peas cooked with caramelized onions, Bukharan prunes and exotic spices; served with saffron scented basmati rice.